One of the most influential events in the history of Jamestown, New York happened a hundred and sixty-nine years ago in the summer of 1848 and 625 miles (1000 km) west in Andover, Illinois. You could even argue that the decision made that summer by Samuel Dahl was the most consequential decision ever made by any single individual in the history of our area. In 1848 Samuel Dahl [1846.001] traveled from Buffalo, New York to Andover, Henry County, Illinois to see the farming and living conditions of a new Swedish settlement there. He returned to the Swedes working as farm laborers in Hamburg township (Erie County, New York) with an unfavorable opinion. Several families decided to go to Andover anyway, but the remaining group decided to settle near Germund and Catherine Johnson’s farm in Sugar Grove, Pennsylvania. The plan of the party stranded in Buffalo had been to join the Bishop Hill settlement [sic ] in Illinois as soon as they had earned enough to pay their way there. Samuel Dahl even went westward for an investigation but returned to those who had remained in Buffalo and Hamburg (to which an addition of later immigrants also had come) with a harrowing tale of hardship and privation for their co-migrants and of bad drinking water in the western country. Frederick Johnson, who seems to have been the leader of the group, made a decision there and then to move with his family and kin and clan up to that fine country where Germund and Catherine were located, and which they had described as both fertile and beautiful. He went ahead with Samuel Dahl to look up sites, and on the 13th day of October, 1848, the other “trekked” to Sugar Grove, using horse wagons for their conveyance. Month after month passed and they were filled with difficulties and trials. One year after the arrival in Buffalo, two of the Swedes, Hans Hurtig and Samuel Samuelson, left for Andover, Illinois. When they got there, they wrote their friends in Buffalo that, if they wished to come to Andover, they would be met with conveyances at Chicago. As a result of this letter, six or seven families journeyed to Andover in August, 1848. ... Germund Johnson therefore returned alone to Buffalo to get the rest of his family and his possessions and bring them to Sugar Grove. On the strength of his description of that place, Frederik Johnson and Samuel Dahl, both of whom had been to Andover but were dissatisfied with the soil there, accompanied him to Sugar Grove to "spy out the land." The most likely route that Samuel Dahl would have taken was by lake steamer from Buffalo to Chicago. Advertised steamship travel from Buffalo to Chicago indicate that the trip would have taken three or four days. After arriving in Chicago, which had a population of about 20,000 in 1848, Dahl might have found support (lodging) from the small Swedish population there. The distance from Chicago to Andover is about 170 miles (270 km). If he had been lucky, Dahl could have taken a packet or line boat on the newly opened 96 mile Illinois & Michigan Canal from Chicago to LaSalle. This travel required one full day (24 hours). From LaSalle it would be 80 miles to Andover, by stagecoach. It's more likely that Dahl went on foot – a distance similar to that walked by Germund and Catherine Johnson enroute to Sugar Grove.3 That amounts to about three days walking and a total minimum travel time from Buffalo to Andover of one week. Overall, the trip would have taken about three weeks and would have cost the equivalent of 15 or 20 acres of undeveloped land in Warren County. The cost of the steamship one-way from Buffalo to Chicago was likely about $6 with better accommodations onboard costing $10. My guess is that this investigative trip was a communal decision and that the overall cost was shared in some manner. The timing of Samuel Dahl's trip was fortuitous. While much warmer than western New York, the weather in Illinois during the summer of 1848 seems to have been a little cooler than normal. The next summer (1849) was marked by the outbreak of cholera along the entirety of this route. Hans Hurtig,4 one of the Swedes named in the 1877 article, died in Andover in 1849. The reason given in the 1877 account, the condition of the farm land in Andover, is nearly stupefying. A comparison of the contemporary USDA rating of soils on Germund Johnson's farm in Chandlers Valley indicate a typical productivity for corn at 80 to 105 bushels per acre, oats at 65 to 80 bushels per acre and hay at 3.0 to 3.5 tons per acre. The rating for the soils near Andover indicate a typical productivity for corn at 140 to 195 bushels per acre, oats at 70 to 105 bushels per acre and hay at 3.2 to 7.0 tons per acre. The prairie soil was unfamiliar to the Swedes and its mechanical qualities (stickiness) made it difficult for iron plows of this era (John Deere had introduced his improved steel plow in 1837). But generally speaking, you can look at the land and see that it would be much better for farming and Samuel Dahl was an experienced farm worker. The later account (Lannes, 1914) indicated that Samuel Dahl had encountered problems with water quality. In an era of cholera, typhoid and other diseases this was a major concern. Henry County is normally a little bit dryer than our region. The rainfall in Henry county is typically 37 inches (930 mm) of rain and 27 inches of snow. Sugar Grove has an average of 44 inches (1115 mm) of rain and 80 inches of snow; and Erie County (where they were working) gets 41 inches with 108 inches of snow. The Henry County prairie has slow moving creeks rather than the fast moving small streams and rivers of Warren County. The misery that may be referenced in the Lannes account could be the situation at the Bishop Hill Colony5 during the summer of 1848. Bishop Hill was a religious colony/society near Andover where members of the Eric Jansson sect settled. Most of this group were from northern Sweden and began arriving in numbers in 1846. In 1848 there were possibly 800 - 1000 immigrants, although several hundred of them arrived later in the summer. Historical accounts indicate that a shipful of Janssonites had arrived at the colony with a disease (questionably listed as scurvy), and that about thirty of this party died in Bishop Hill after an extended and horrific battle with the malady. That episode was made worse by the religious leadership who forbade medical treatment and promoted fasting and prayer as the cure. Outside parties attempted to intervene, including Jonas Hedstrom, the brother of Olof G. Hedstrom and a Methodist minister. It's hotter in Andover – just as cold as our area in the winter, but 90° F (32°C) weather in the summer is common and 100°F (38°C) is not unusual. Enough said for a Swede who is concerned about work, not vacation. It is prairie land in Andover. It doesn't look anything like the terrain around Lönneberga where Samuel Dahl was born and worked. There are two small lakes, swamps and ponds near the beginning of the Green River in the north, but no major lake in the area. There were some wooded areas, but Bishop Hill had to bring in lumber from outside the area quite early in its construction. I would suggest that it was the absence of substantial forests (sustainable woodlots) that may have been the pivotal factor in the decision against moving to Andover. The importance of the forest and a good edge tool to a Smålander likely superseded the attractive features of Andover. 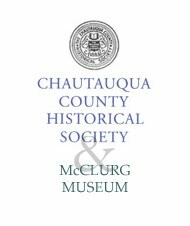 The woods of Warren and Chautauqua counties would provide a self-reliant independence for these Swedish immigrants. Accounts indicate that it was very tough cutting through the native sod to turn the prairie into cultivated land, but that effort pales compared to the work involved removing tree stumps from a forest land to make it tillable. It is quite a price to pay for a place that looks like home. While this trip by Samuel Dahl is a footnote in our histories, I find the communications involved and the investigation conducted to be signs of a fairly sophisticated community, albeit that they were penniless immigrants. The group of Swedish immigrants who arrived in 1847 and settled in Andover wrote to their compatriots in Buffalo.6 That seems simple until you consider the logistics. First, how do you find out where another group of immigrants is living? That information would have been gathered from either 1) triangulated communication through letters home to Sweden; 2) triangulated communication through an intermediary such as the Hedstroms and the Bethel ship who communicated with both groups; or most likely, 3) a Swede who happened to meet someone from the Virginia group in Buffalo and then met the Swedes in Andover, Illinois. It is no small feat making this connection. Second, how do you successfully get a letter to the other group? Most likely, that was accomplished by the U.S. mail, but you need to be able to send it to a fixed address. That is complicated when the recipients are day laborers and farm workers. The letter that is referred to in the 1877 article is a much simpler communication – it seems likely that Samuel Samuelsson, one of those who left Buffalo for Andover in 1847, would have written to his fourteen year-old son, Samuel Leonard, who had been taken in by the Swift family in East Hamburg. Next, the group had to raise enough money to pay for an expedition. Remember, these immigrants were on the margin of subsistence. Then, the group needed to send someone who they could agree upon as dependable and who they could trust to provide a fair report. This speaks volumes about the character of Samuel Dahl. Once Dahl returned from Andover, then a further aspect of the group was shown. The Swedes in Buffalo did not make a decision as a cohesive group. Instead, half chose to go to Andover based on Dahl's report and half chose Sugar Grove. Unlike the passengers of the Augusta who had pooled their resources to get to Iowa (see blog footnote), the passengers of the Virginia acted as family units whose responsibility to the larger community was limited. This text is from an anonymous translation made of the later, slightly revised article by Rev. H.O. 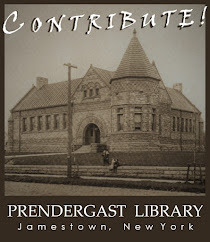 Lindbland that is in the collection of his papers archived at the Swenson Center, Augustana College. I doubt that Frederick J. Johnson made this trip (as indicated in the 1877 article). The high cost of the trip and the absence of any indication in the A.J. Lannes history strongly suggest that the trip was made only by Samuel Dahl. Also, in my opinion, Frederick J. Johnson’s short (auto)biography in Schenck’s History of Warren County, 1887, p Li (51) was somewhat boastful (I have not been able to verify his land holdings) leading me to believe that if he had indeed made this trip that he would have made note of it in this write-up. Another passenger from the Virginia may have also gone West to investigate and returned to the group in Buffalo (alone or with Samuel Dahl). Anders and Ingrid Catherine Norman are credited as the second Swedish settlers in Burlington, Iowa in 1847. Anders Norman died there in 1871 and "Carrie" Norman died in Burlington in 1896. However, in our local histories one member of the small group who settled in Sugar Grove in October 1848 was the old soldier Norman. That was clearly a reference to Anders Norman [i2160], yet there is no reference to his wife or his son. Both of these two historical notes might be correct, but they demand a peculiar sequence of events best explained by a scouting trip. It is unlikely that Dahl would have missed work during the Fall harvest in 1847 and the Spring planting of 1848. Travel during the winter months was very difficult and lake traffic stopped for several months. A shipload of Janssonists arrived during the summer of 1848 having walked from Chicago to Henry County. Hans Hurtig [O-W 2091] arrived 6 March 1847 in New York City aboard the Edla from Stockholm. Hurtig was not connected to any of the passengers of the Virginia who were in Buffalo. Hurtig was an ex-Janssonist who likely met Samuel Samuelsson in Buffalo and then traveled together to Andover. Hurtig died of cholera in 1847 or 1849 (Olsson and Wikén, 1995: 294). The Bishop Hill Colony was an anomaly in Swedish immigration. It can be compared to the later immigration of Swedish converts to Mormonism – both emigrations were typically organized by the church hierarchy. The Janssonist emigration was substantial and represented an important portion of all Swedish emigration during a decade beginning in 1846. Their settlement in Henry County was largely due to the influence of O.G. Hedstrom in New York and his connection with his brother Jonas Hedstrom in Victoria, Illinois, near Henry County. There is a great deal written about this sect. See Wikipedia or this article by H. Arnold Barton for additional basic information. It is very clear from the migration of the Swedish immigrants who arrived aboard the VIRGINIA in 1846 that their initial destination was Jefferson County, Iowa and Peter Cassel's settlement. 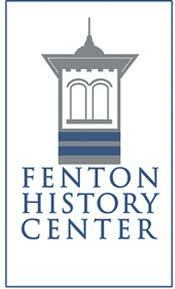 In 1847 another group of Swedes from their home area settled near Andover, Henry County. Like the Janssonists, their settlement in Andover was related to the advise of the Hedstroms. Their objective had also been Peter Cassel's New Sweden settlement in Iowa, but because of complications crossing the Mississippi River, they remained in Illinois – they were never part of the religious colony at Bishop Hill (15 miles/25 km southeast of Andover). This curious error by A.J. Lannes mistaking their destination as the Bishop Hill Colony likely reflects the changed perception of the sect at the turn of the twentieth century. 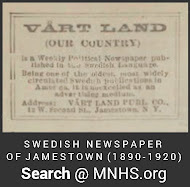 The reconsideration of the Janssonist community began with the first substantial history of Swedish immigrants by Johnson and Peterson in 1880. Their history includes a chapter written by Eric Johnson (son of one of the founders of the colony) dedicated to the history of Bishop Hill, see "Bishops Hill-Koloniens Historia" in Svenskarne i Illinois, Historiska Anteckningar. Swedish-American historians became fascinated with this communal society and many books and articles were written about the Janssonists, see for example Michael A. Mikkelsen, The Bishop Hill colony, a religious communistic settlement in Henry County, Illinois. Baltimore, Johns Hopkins, 1892. This correspondence between groups is discussed by Maria Erling in "The Connections Correspondence Made," Swedish-American Historical Quarterly, vol 56, No 2-3 (April-July 2005), p 173-182.